Chinese wedding is always emphasis on good wishes for the wedding couple to have good & happy life after the marriage. 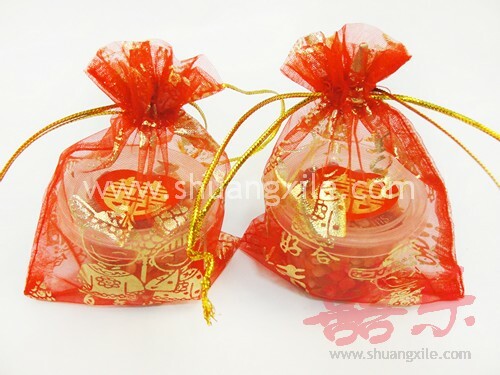 A pair of mini 5 element seeds to symbolize prosperity and abundance （五谷丰收）and no worry about future in term of financial. Item price is for a pair of mini 5 element seeds which consist of 2 small bottles of mixed seeds (5 different seeds).